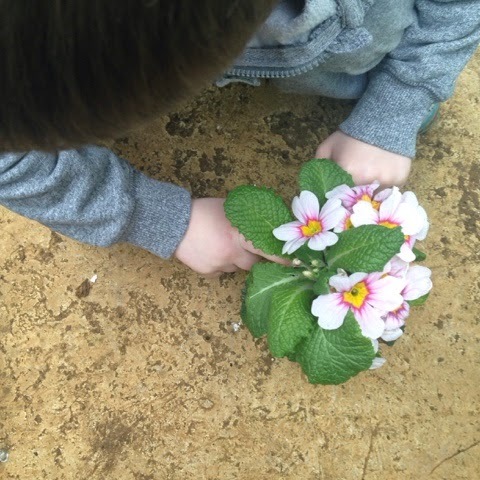 We've managed to get out in the garden a couple of times this week, T helped me make an extra little gift for each of his grandmothers, we put these little flower pots with a beautiful scarf for our gifts this year. We saw something similar for a wedding centrepiece using rosemary on Pinterest and I knew this would be something quick, cheap and easy enough for T to help with. 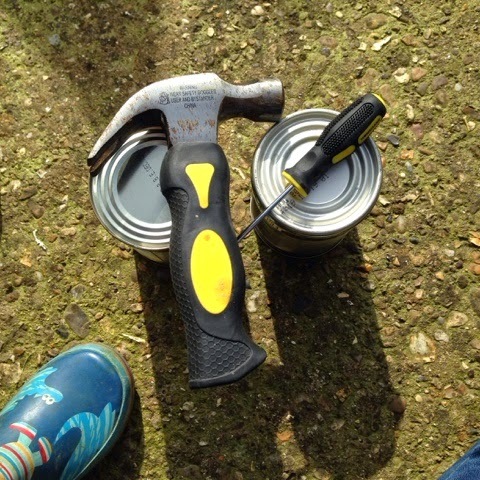 First we started with some scrubbed tin cans, we actually think that the cheaper store own brand items look better than ones with the posh, pull rings! The first thing you need to do it to make holes in the bottom, for drainage. 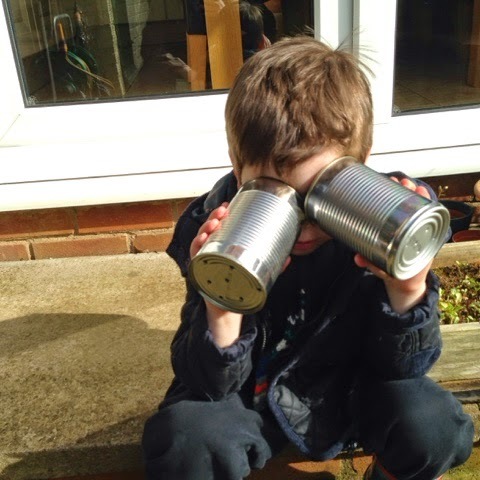 T loved doing this, yes I did wonder if I was doing the right thing letting him make the holes, but seeing his little face when they were done was so worth it! He was so chuffed with himself for doing it. As usual playing the clown! 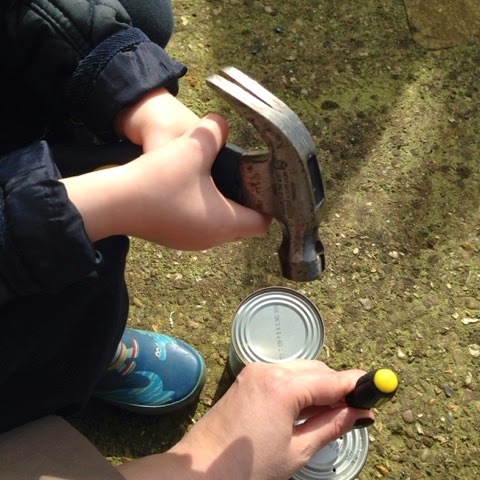 Take the plant out of the pot and squash into the tin can. Ours were a tiny bit too big but we got there in the end. Once T had potted them up, I added a little washi tape (bottom) and a co-ordinating ribbon. And they are ready to be given. 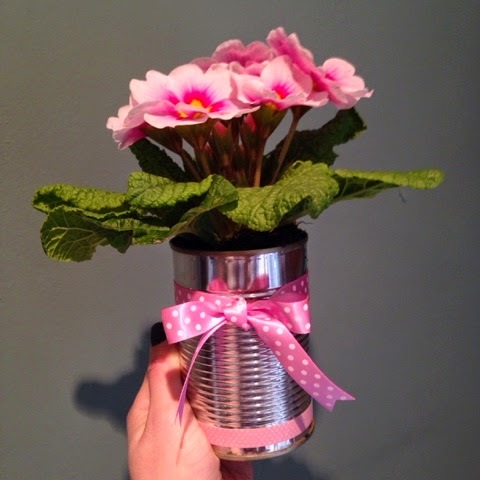 The ribbon and washi cost pence and the flowers were 5 for £5 at a local garden centre, so this worked out as a super cheap little recycling project as well as something that T could help with. Looks lovely, great idea and I bet he liked making those holes! 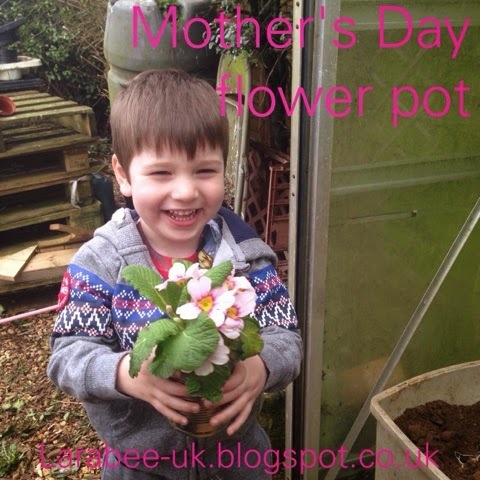 What a fab idea, I bet T's Grandmothers loved their little plant pot presents. T looks really happy with the plant pot, it's great that you let him make the holes, I hope your fingers didn't feel it too much though! Thanks for linking up with Country Kids.